The limited edition table football game has been released ahead of the SSE Women's FA Cup final at Wembley Stadium on Saturday. The first all-female Subbuteo set has been launched to reflect the rapid growth of women’s football in the UK. The FA and the game’s maker, Hasbro, revealed the limited edition version of the table football game ahead of the SSE Women’s FA Cup final at Wembley Stadium on May 5, with the figures wearing the colours of finalists Arsenal and Chelsea. The FA said the new version of the game supported its objective to tackle barriers within the women’s game. The set includes 22 outfield players and six substitutes, each hand-moulded and painted with their own characteristics and detailing. The classic Subbuteo box has also been given a new design with the female footballers placed front and centre. The set is not available to buy, but fans will have the opportunity to win one via FA social channels in the coming months. Marzena Bogdanowicz, the FA’s head of marketing and commercial for women’s football, said: “This new, all-female Subbuteo set is a reflection of the rapid growth that women’s football is seeing in the UK right now. 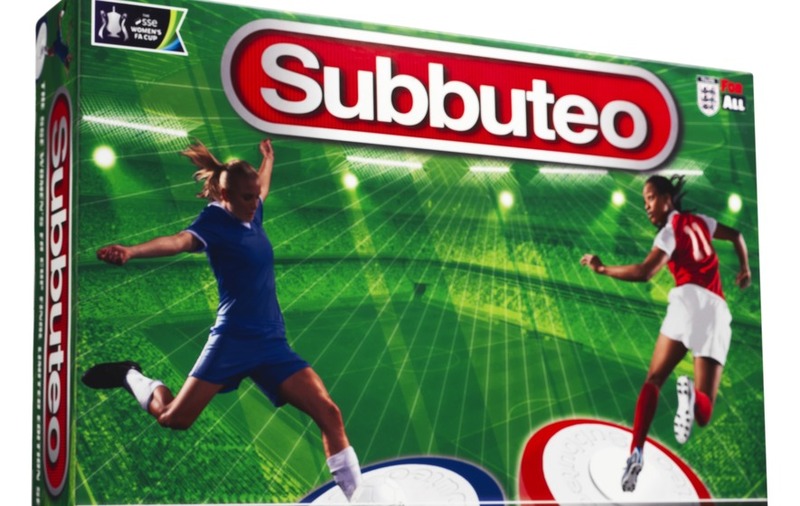 Hasbro senior vice president James Walker said: “We are incredibly excited to work with the FA to place focus on female footballers in this special edition of Subbuteo. Children can attend the final free of charge, with adult tickets costing £15 and concessions priced at £5.